I thought, “Maybe I could make that recipe, but even better.” I did just that. 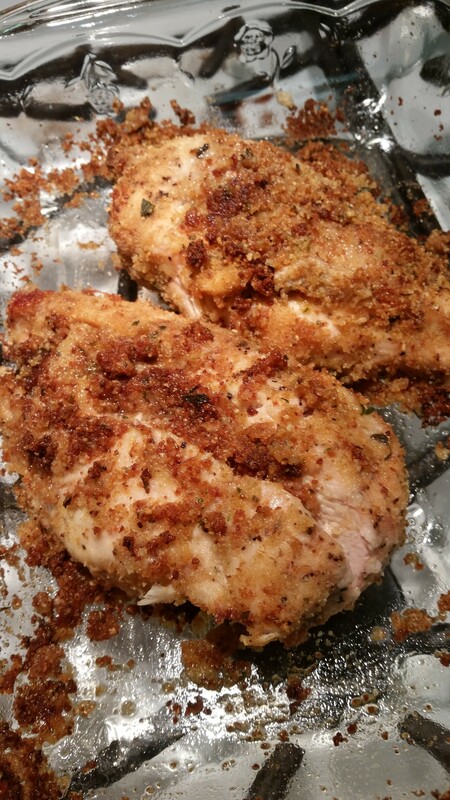 I made my own version of “Shake and Bake” and added it to boneless skinless chicken breasts (you could substitute pork chops) with a plenty of salt and pepper and olive oil. Homemade Shake and Bake- I eyeballed all these servings- Add more or less of what you want. Mix together in a large zip top bag. I took 2 chicken breasts and salt and peppered them liberally on both sides. Then I covered both of them with olive oil. I added the chicken breasts to the zip top bag with the Homemade mixture and shook them up. The girls had fun with this part. I put them in a sprayed baking dish. Bake for about 45 minutes. 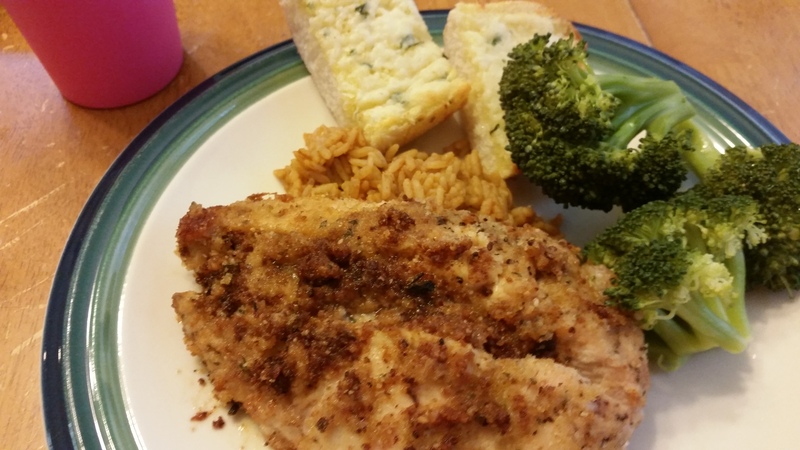 Pantry Raid sides- I served with steamed fresh broccoli (steam for 20 minutes in a steamer), a side of rice (boxed Zataran’s mild), and cheesy garlic bread (frozen).